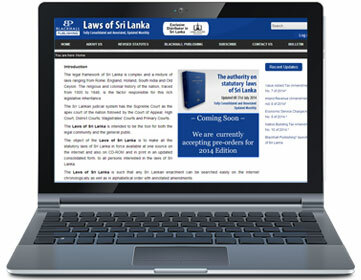 Get Blackhall’s Laws of Sri Lanka Digital Subscription at just LKR 300/-. Updated laws, schedules and chronologically arranged index. All wrapped up in the perfect package. Get unlimited access to srilankalaw.lk and more with a srilankalaw.lk digital subscription. To get unlimited access to srilankalaw.lk, you’ll need a subscription. When you subscribe, you’ll get unlimited access to laws—on the web site. Can I get a digital subscription to srilankalaw.lk only? Yes. The basic subscription package gives you unlimited access to srilankalaw.lk. I want to purchase the printed edition. Do I get free access to the online edition? Subscription is for one year. After that period, you may renew your subscription. You can cancel your subscription at any time but no refund will be granted for the cancellation. When your subscription expires, you will still be able to view some portion of the laws on srilankalaw.lk at no charge, like any other visitor. What if I don’t want to subscribe—can I still read srilankalaw.lk for free? Visitors can see some portions of the laws on srilankalaw.lk, as well as access to browse the home page, all Act names, and some section headings. Subscribers enjoy unrestricted access to all of the content on srilankalaw.lk. Experience this. Anyway you want it. Sri Lanka’s premier law site. 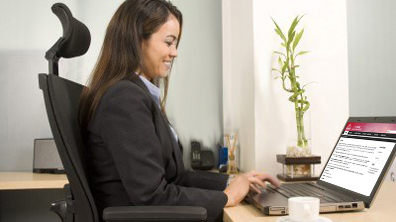 Enjoy unlimited access to all laws of Sri Lanka updated as the law changes. 1. What is a digital subscription? How much does it cost? 2. I bought a print version of Blackhall’s Laws of Sri Lanka. Do I get free access to the online version? 3. What if I don't want to subscribe — can I still read srilankalaw.lk for free? 4. How are digital subscriptions billed? 5. What is the cancellation and refund policy? 6. Can I access my digital subscription on more than one computer, smartphone or tablet? 7. Can I share the user name and password associated with my subscription? 8. How do I change the e-mail address, user name, and password that's associated with my digital subscription? 9. How do I change my current digital subscription package? 10. Do you have an education, group or corporate subscription program? Are there any subscription discounts? 11. How do I send you my feedback on digital subscriptions and products? 12. Why should I use srilankalaw.lk instead of other sites? 13. What are the matters inside srilankalaw.lk? 14. How do we know that an Act has been amendd? 15. How relevant are the contents of srilankalaw.lk? Blackhall’s Laws of Sri Lanka digital subscription provides ongoing unlimited access to the srilankalaw.lk web site from any computer or device. You can purchase Blackhall's Laws of Sri Lanka here. All orders will be delivered to your door by courier. The courier charge is for your account. 2. I bought a print version of Blackhall's Laws of Sri Lanka. Do I get free access to the online version? 3. What if I don't want to subscribe—can I still read srilankalaw.lk for free? Visitors can see some portions of laws on srilankalaw.lk, as well as access to browse the home page, the indexes, and some section headings. Subscribers enjoy unrestricted access to all of the content on srilankalaw.lk. We accept major credit cards and PayPal. Subscriptions are billed annually. You will begin receiving renewal notices a few weeks before your subscription is due to expire. To continue your subscription, you may renew through My Subscription page. Subscription is for one year. Although you can cancel your subscription at any time, no refund will be made for any unused period of your subscription. Afterward, you will still be able to view some portion of laws on srilankalaw.lk at no charge, like any other visitor. No. You cannot access your digital subscription from more than one computer or smartphone or tablet at the same time. The subscription is for single individual use only. No. You cannot share your login credentials (user name and password). To change your e-mail address and user name please contact Customer Care. To change password, visit the Login Form. Click Forget your password link, which will take you a new page. Enter your e-mail address in the space provided there. Click Submit, which will take you a new page Confirm your account. Enter your User name and token (verification token that has sentto your e-mail id) in the space provided. In the new page enter your new password and click Submit. Your password is changed now. No, we do not offer any group and corporate subscriptions and education discounts. Blackhall’s Laws of Sri Lanka is the only source of consolidated and annotated laws of Sri Lanka. 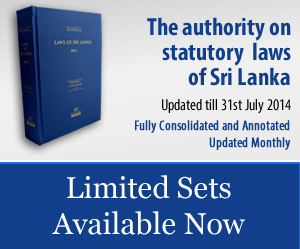 It is the only continuously updated site for the Laws of Sri Lanka. 13. What is published in srilankalaw.lk? The site contains the revised and annotated Laws of Sri Lanka and is continuously updated in line with the promulgation of new and amending Acts. 14. How do we know an Act has been amendd? Each Act contains a history of all amendments made since promulgation. This history is listed before the long title of each Act. The contents of srilankalaw.lk are relevant and of use to all who need to see revised Laws of Sri Lanka.